Look no further, for your perfect Spring retreat plans have just sprouted. Slip away to one of the Central Coast’s most beautiful movement and wellness retreat destinations perched on 45 acres of magical private lands. Guided by your favorite Pilates + Yoga + Barre mixology muse, InTouch SF’s Jordanna Eve will host a captivating journey into center. Stoke your inner fire with core activating yoga, empowering barre pilates fusion interludes, a special Saturday night acupuncture savasana and plenty of R & R time for personal exploration (YES to hiking + napping + private pool + hot tub time!). Bond with your loves and new friends over organic farm-to-table, locally sourced meals and relish in the freshness of the season. 2. Mark "Send $ to Friends + Family"
InTouch SF’s Jordanna Eve (www.intouchsf.com) and Cypress Dubin (www.cypressdubin.com) debut a nourishing and immersive Restorative Yoga + Acupuncture + Sound Healing odyssey to usher in the Spring. Begin with a welcoming meditative invocation, followed by 20 minutes of restorative yoga to set the replenishing tone of our evening. Settle into potent sound meditation and ritual acupuncture, blending gentle needling with enchanting live music featuring a healing soundscape of ethereal mantra, medicine songs, Tibetan singing bowls, world and shamanic instruments-- plus live vocal interludes from Cypress’ upcoming album Altar. Sound meditations are designed to safely guide us in connecting to our deepest Self. Sound coupled with engaged listening and acupuncture swiftly calms the mind and grounds the body. This elegant restorative practice induces deep states of relaxation and circulates blocked energy-- using the principles of entrainment (the brain's natural tendency to mirror auditory frequencies) and resonance (sound's ability to align energy in the body). Overtone-emitting instruments and voice stimulate alpha and theta brain waves, bringing our bodies into harmony. Sound immersion is a powerful form of meditation— opening us to new possibilities of rest, resilience, and life vision. New to the experience of acupuncture? Sensations such as tingling, heat, radiating or pulsing of energy are all par for the course, once the needles are gently guided into place. Attentive hands will be on deck to support you, ease your fears, and respond to any needs within our acupuncture sound circle. We are here for you! Arrive 15 minutes early to ensure your optimal spot in the circle. Yoga mats and blankets will be provided. Feel free to bring items that will make you feel at home (camping mat/pillow/eye pillow). Wear comfortable clothes and bring layers, as the body temperature drops during meditation and deep rest. $45. Limited tickets available. Pre-registration highly recommended. InTouch Sf’s Jordanna Eve and Morning Altar’s Day Schildkret return to beloved Love Story Yoga with a warm and cozy acupuncture and surround sound odyssey - the late Winter edition. Dive into a grounding 90 minute sound bath blending gentle needling with enchanting music, crystal singing bowls, wood flute and other aural delights that beckon the sweetest, most relaxing savasana you may ever know. New to the experience? Not to worry, for attentive hands will be on deck to ease your fears, channel that calming energy and pour love right back into the circle. We are here for you, community! Feel free to bring your own creature comforts, yoga mat, and water bottle. Blankets and blocks will be provided. We recommend early arrival to ensure your sweet spot in the circle. Wear loose-fitting clothes, lean back and rejuvenate surrounded by new friends, your besties and your loves. Cost: $45. Pre-registration highly recommended. The sweetness of the holidays will be that much more delicious now that your seasonal dose of acupuncture and sound healing activation is in the mix! InTouch Sf’s Jordanna Eve (www.intouchsf.com) and Morning Altar’s Day Schildkret (www.morningaltars.com) return home to Love Story Yoga to offer a special Thanksgiving gratitude circle sprinkled with warmth, love and nurture. Dive into a grounding 90 minute sound bath with ritual acupuncture blending gentle needling with enchanting music, crystal singing bowls, wood flute and other aural delights that beckon the sweetest, most relaxing savasana you may ever know. New to the experience? Not to worry, for attentive hands will be on deck to ease your fears, channel the qi and pour love right back into the circle. There's nothing quite like entering the busiest time of year with a nourishing treat to calm the mind and rejuvenate the body. We are here for you, community! We recommend early arrival to ensure your sweet spot in the circle. Blankets and blocks will be provided, but definitely bring your own yoga mat and soft creature comforts that make you feel right at home. Wear loose-fitting clothes, lean back and rejuvenate your qi surrounded by new friends, your besties, the fam and your loves. InTouch Sf’s Jordanna Eve (www.intouchsf.com) and Morning Altar’s Day Schildkret (www.morningaltars.com) return to beloved Love Story Yoga with a special acupuncture and surround sound odyssey, the deep Summer edition. Dive into a grounding 90 minute sound bath with ritual acupuncture blending gentle needling with enchanting music, crystal singing bowls, wood flute and other aural delights that beckon the sweetest, most relaxing savasana you may ever know. New to the experience? Not to worry, for attentive hands will be on deck to ease your fears, channel the qi and pour love right back into the circle. There's nothing quite like capping off a crazy work week with a nourishing treat to calm the mind and rejuvenate the body. We recommend early arrival to ensure your sweet spot in the circle. Yoga mats (limited supply) and blankets will be provided, but feel free to bring your own creature comforts that make you feel right at home. Wear loose-fitting clothes, lean back and rejuvenate your qi surrounded by new friends, your besties and your loves. It may feel more like Winter in SF Summer, but we're ready to turn your qi dial up to HIGH! Unwind from the week in a different kind of way... think soundscape savasana meets acupuncture odyssey. Dive into a heart opening 90 minute sound bath with ritual acupuncture offered by InTouch SF's Jordanna Eve (www.intouchsf.com) and MorningAltar's Day Schildkret (www.morningaltars.com). Blending gentle needling with enchanting music, crystal singing bowls, wood flute and other aural delights, we'll send you into the deep healing abyss as soon as you close your eyes. We recommend early arrival to ensure your sweet spot in the circle. Yoga mats and blankets will be provided, but feel free to bring your own creature comforts that make you feel right at home. Wear warm, loose-fitting clothes, lean back and rejuvenate your qi surrounded by new friends, your besties and your loves. We're back! And this time, we're getting cozy in LOCZIdesign's artistic nook. Snuggle up with us and stoke your inner fire with a total body healing immersion designed to leave you feeling all warm and fuzzy inside. Get your seasonal qi buzz on with us and relish in a deliciously balanced state of being. Dive into a 1.5 hour sound bath with ritual acupuncture offered by MorningAltar's Day Schildkret (www.morningaltars.com) and InTouch SF's Jordanna Eve Dworkin (www.intouchsf.com). Blending gentle needling with enchanting music, crystal singing bowls, wood flute and other aural delights, we'll send you into the deep healing abyss as soon as you close your eyes. InTouch SF's Jordanna Eve and The Lady Alchemist join femme amazing forces to bring you one delicious Fall day of all things body uplifting and tastebud tantalizing. Late Sunday morning, we'll gather on a sunshine dappled grassy glen and awaken the core with a sweet outdoor pilates/yoga session. Unique refreshments and healthy snacks will be served post-class to replenish energy reserves. Next, we'll hike through the Joaquin Miller redwoods absorbing the magestic energy of East Bay nature at its finest. A restorative stretchy good yoga cool down class will follow. Capping off the day, The Lady Alchemist provides a golden al fresco dining experience, centered around personal growth and transformation. Expect total organic yumminess in great company from start to finish. Historically, Alchemists have searched for ways of utilizing basic elements to transform into gold. Our style empowers people to eat foods that foster a connection to their body, mind, and community. The Lady Alchemist experience will breakdown old constructs and beliefs around food and conjure up new, creative, and intuitive ways to connect with what’s on your plate in total attunement with the season. Captivate your senses and join our retreat! Price: $45. Pre-registration highly recommended. Blending gentle needling with indigenous music, crystal singing bowls, wood flute and other tonal delights, we'll send you into the deep healing abyss as soon as you close your eyes. Go deep with us! We recommend early arrival to ensure your sweet spot in the circle. OMpower provides yoga mats and blankets, but feel free to bring your own creature comforts that make you feel right at home. Wear warm, loose-fitting clothes, lean back and rejuvenate your qi surrounded by new friends, your besties and your loves. Brrrr, it's feeling more like Winter than Summer in the city, and we’ve got just the thing to warm those Bay Area bones! Cozy up with us and stoke your inner fire with a total body healing immersion. A special viewing of Day's MorningAltars, an internationally renowned impermanent earth art collection, will be on display. We recommend early arrival to ensure your sweet spot in the circle. OMpower provides yoga mats and blankets, but feel free to bring your own creature comforts that make you feel right at home. Wear warm, loose-fitting clothes, lean back and rejuvenate your qi surrounded by new friends, your besties and your loves. Are you ready for the perfect summer weekend retreat just a few hours away from the city grind? InTouch SF's Jordanna Eve hosts the first of many local California weekend getaways in the heart of Sonoma County! 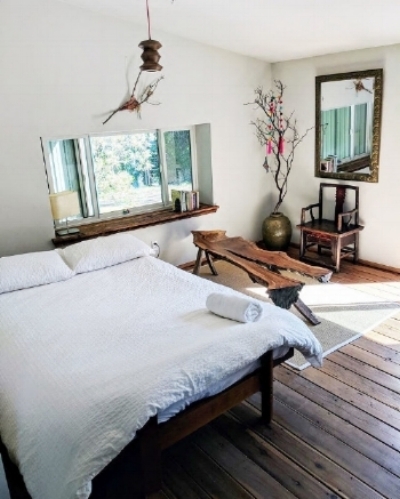 Now is the time to round up your favorite crew for an inspiring journey into deep core + asana flow, invigorating coastal hikes, replenishing jacuzzi tub plunges and seriously luxuriating R & R time at Ratna Ling Retreat Center, surrounded by redwood heaven. EARLYBIRD SPECIAL: PRE-REGISTER BY APRIL 15th, SAVE $50! A $200 non-refundable deposit ensures your sweet spot. It’s Spring renewal time, and we’ve got just the thing to cleanse and clear your funk. Welcome in the change of the season with a total body reset. Dive into a 1.5 hour sound bath with ritual acupuncture offered by Day Schildkret (www.morningaltars.com) and InTouch SF's Jordanna Eve (www.intouchsf.com). Blending gentle needling with indigenous music, crystal singing bowls, wood flute and other aural delights, we'll send you into the deep healing abyss as soon as you close your eyes. Take the journey with us! A special viewing of Day's Morning Altars, an impermanent art collection, will be on display. Consider this the icing on the cake. His art is beyond beautiful. Rogue & Saint: 1919 Mission St. I'm bringing the V-day love to Rogue & Saint, body and soul! First, tone your hottest asset in booty burning pilates fusion fashion. Next, rev up your mojo and decompress that stress with a totally uplifting community-style acupuncture treatment. Then, indulge in a decadent chocolate tasting to tantalize your tastebuds. Walk away feeling AMAZING. Post-sweat, cozy up with your friends, lay back, relax, and soak in the love of sweet community style acupuncture. First time to acupuncture? I'll explain everything you need to know prior to the flowdown. Needle sensitive? Don't worry, my feather light touch will send you into drift-n-drool mode as soon as you close your eyes. Be sure to reserve your hot spot in advance, as this is a limited capacity event. We want to keep it intimate to make your experience that much more delicious. We're heading back to the beach! 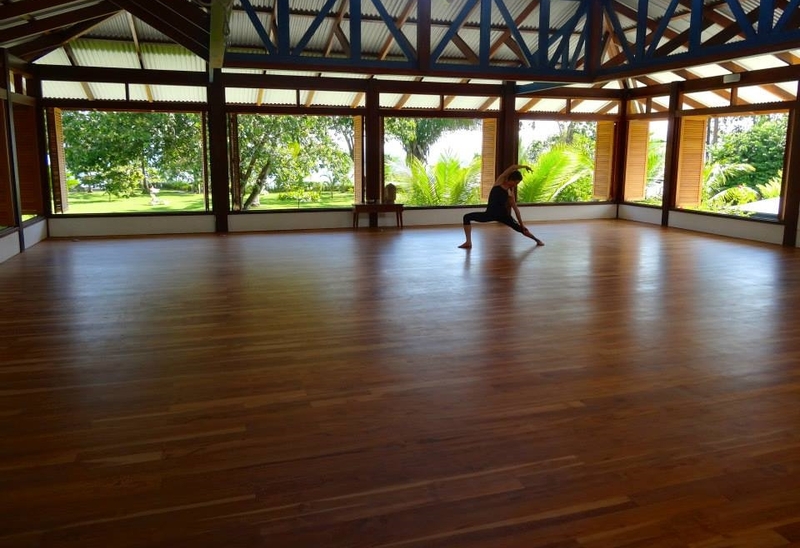 Join Pilates/Yoga/Barre mixology muse, Jordanna Dworkin, in Costa Rican paradise. Ignite your warrior core in exquisitely crafted daily blends of modern Pilates and Forrest-inspired yoga, sprinkled with sizzling hints of barre sculpting bliss. This is an amazing opportunity to explore the depths of your center with intelligent, challenging flow, guided breath work, and solid alignment awareness for a safer, more effective movement practice. Dive into the heart of your strength, and live and breathe in kinetic harmony with naturaleza exotico, tropical beauty abound. EARLYBIRD SPECIAL: REGISTER BEFORE SEPT. 13th, SAVE $100! A non-refundable $500 deposit secures your spot. Or, pay in full, with one less thing to worry about. 4. Click on "Sending $ to Family + Friends"
Book an early morning flight to San Jose, Costa Rica at Juan Santamaria International Airport (SJO). From here, you will need to make a connecting flight to Puerto Jimenez on the Osa Peninsula. The second flight from San Jose to Puerto Jimenez takes approximately 45 minutes. Blue Osa recommends Nature Air, the only airline in the entire world that has reduced their carbon footprint to zero (something which, as an eco-resort, Blue Osa greatly admires, appreciates and endorses). Nature Air is a safe and customer-service oriented airline that services all of Costa Rica. Please click here to book your flight to Puerto Jimenez now. You may also receive special customized service by emailing Blue Osa's colleagues at Nature Air directly. Please make sure you ask them for the special Blue Osa discount. Alternatively upon your arrival at Juan Santamaria International Airport (SJO) in San Jose, you can fly Sansa Airlines to Puetro Jimenez. Click here to for more information. Upon arrival to Puerto Jimenez, InTouch will arrange for shuttle service to and from the airport. You will be met by smiling faces and a truly delightful staff once you step onto the gorgeous grounds of Blue Osa. Blue Osa is simply magical. From the lush lands to the calming seas, this is one place you won't want to leave! DREAM SEED combines a 1.5 hour sound bath with ritual acupuncture hosted by members of Golden Drum, Didge Project and InTouch SF. Blending gentle needling with indigenous music, didgeridoo, crystal singing bowls, gongs, tuning forks and other aural delights, we will send you into drift-and-drool mode as soon as you hit the floor. Take the journey with us! This special Dream Seed features Xango Shola, AJ Block and Jordanna Dworkin, L.Ac. Join Julie Down, Fawntice and InTouch SF's, Jordanna Dworkin, for a powerful weekend of shamanic ritual and ceremony. Release beliefs and patterns that no longer serve you. Build tools to create consciousness and self-awareness. Enjoy yoga and movement. Restore with shamanic healing, soundscapes and acupuncture. So often, the day-to-day currents swirl at such a rapid pace that there is hardly time for reflection. For thousands of years human beings have used retreats as a time-out to create lasting positive change. Step away on scenic retreat and examine your inner life in a focused, supportive workshop environment. We will investigate our current habits of mind and learn tools for breaking negative thought-patterns that cause daily suffering. We will engage in shamanic rituals and healing practices to create new pathways for contentment. Participants will also have the opportunity to receive a shamanic healing or private acupuncture session. The retreat will be both an individual and community experience. The first half will focus on uncovering patterns that keep us stuck in our lives. This will include various exercises through mindfulness, as well as self-exploration in the form of journaling. We will share some of this reflection in order to build self-awareness and learn from others’ experiences. Throughout this process we will practice yoga and movement. This portion of the retreat culminates in a fire ceremony, where we will release the behaviors and beliefs that no longer serve us. With new space cleared, the second half of the retreat will be devoted to determining what to create in place of what we have released; that which will enrich and empower our lives. We will end our time together with a Despatcho, an ancient Peruvian prayer ceremony. On Friday evening, there will be a sound healing with Fawntice Finesse. If you need to cancel your reservation, you will receive a full refund less a $200 cancellation fee. Caravan to a southern California dreamscape and get your Spring renewal ON with a savory blend of qi replenishing and aural delights in the round! In collaboration with our new favorite music festival, Desert Hearts, InTouch SF's mover/shaker/healer, Jordanna Dworkin, and Eduardo Gutierrez (Sound Healer/Visionary Artist) unite to guide the flow. When you're ready to take a break from all of the dancing and schmoozing, we'll be serving your body and spirit a healthy dose of sweet qi to keep your bliss buzz ignited. Cozy up with your friends, lay back, relax, and take in the bounty of sweet community style acupuncture and sound soaked savasana a la didge, drone pipe and flute. Needle sensitive? Don't worry, Jordanna's feather light touch and Eduardo's soulful sounds will send you into drift-n-drool mode as soon as you close your eyes. Comfy clothes + yoga mat/blanket are highly recommended. LOWDOWN: If you're looking for the perfect combination of R & R time on white sand beaches, delightful dips in crystal clear blue waters, spiritually opening and physically invigorating blends of yoga asana, classical pilates with modern twists, sprinklings of barre style beach body toning, meditation and pranayama, deliciously healthy organic cuisine, spa pampering, culturally awakening adventures and amazing company, then THIS IS IT! Your favorite renaissance mover and shaker of all things uplifting to body and spirit, Jordanna Dworkin, leads the way in one unforgettable week immersed in beautiful soulful, playful flow. Be the first to experience eco-chic luxury living in a brand spankin' new Tulum haven, and get your JOY on! -Group ground transportation may be arranged for anywhere between $30 - $125 per person. Let me know if you're taking this option or venturing on your own to our destination. SIGN UP TODAY, secure a $500 non-refundable deposit or pay in full, less hassle!